At NC State, big ideas have room to grow. 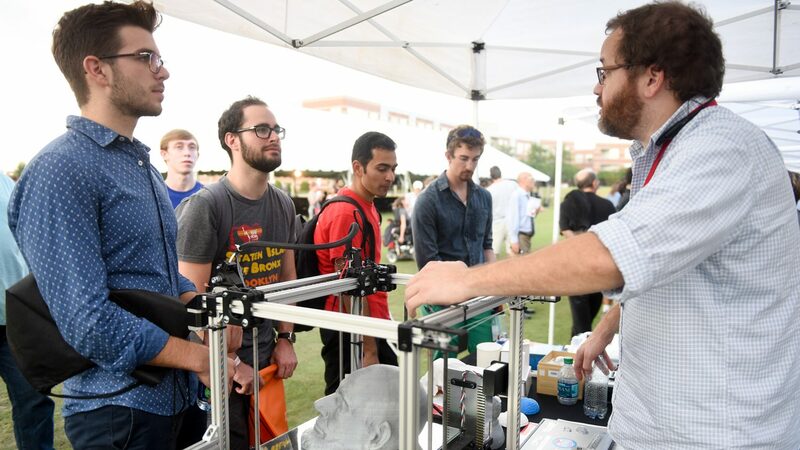 Our student entrepreneurs connect with like-minded innovators and access vital resources in designated spaces across campus and around Raleigh. We’re here to answer questions, point you to available resources and schedule a tour so you can see it all for yourself. 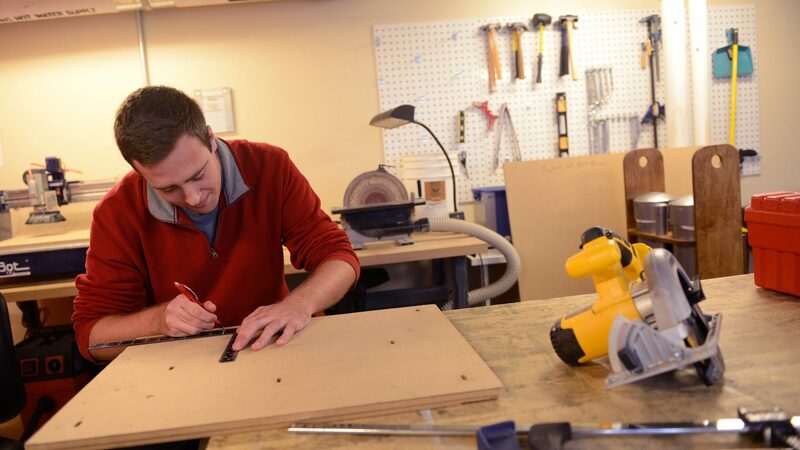 Entrepreneurship is a fundamental priority at NC State. That’s why the university has invested in spaces that facilitate collaboration and innovation among students, faculty, alumni and emerging area startups. 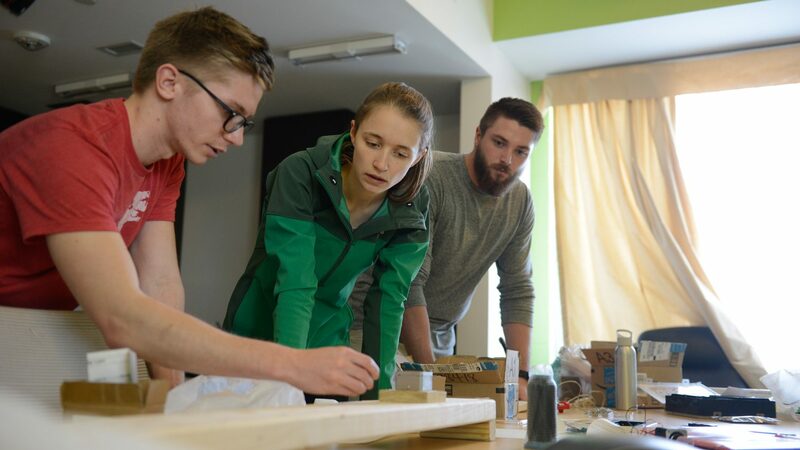 These dedicated locations give enterprising students access to valuable resources and seasoned mentors as they develop their entrepreneurial skills and grow their ventures. NC State has a unique physical footprint for entrepreneurship. We’ve created unconventional spaces that allow for the necessary trial and error in building a business. 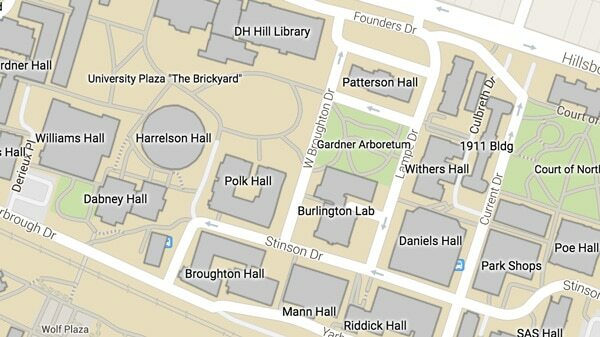 Locations across campus spark imagination and make the latest tools and technology available in support of a forward-thinking approach to enterprise. And along with our abundant physical spaces and cutting-edge equipment, a connected community of driven innovators keeps NC State at the forefront of university startup culture. Whether you’re an aspiring entrepreneur or a startup veteran, you’ll find the room, resources and contacts to support your goals. Inspired by the teaching hospital model, this dynamic learning environment brings faculty, students and local startups together at a thriving co-working space in downtown Raleigh. Our entrepreneurship hub has it all — from physical space for prototyping and problem-solving to programmatic resources such as community office hours and pop-up discussions. Residents of this living and learning community develop their entrepreneurial concepts in a neighborhood environment that fosters creativity and encourages innovation. 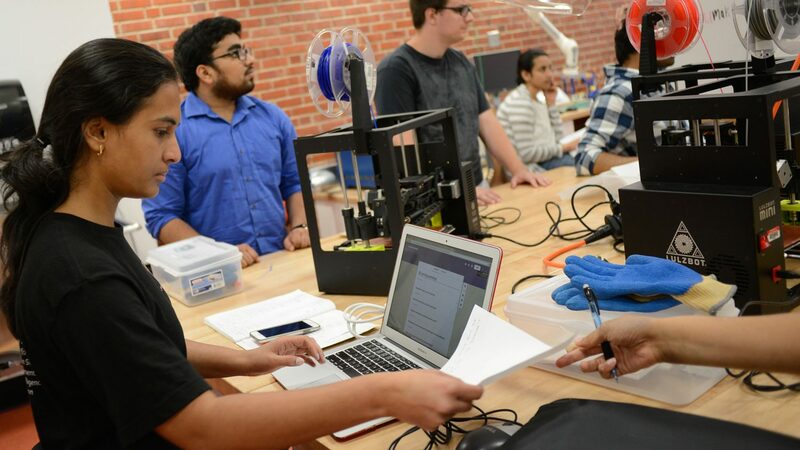 Across the NC State campus, specially outfitted spaces allow student entrepreneurs to experiment with powerful tools, integrated electronics and wearable technology. 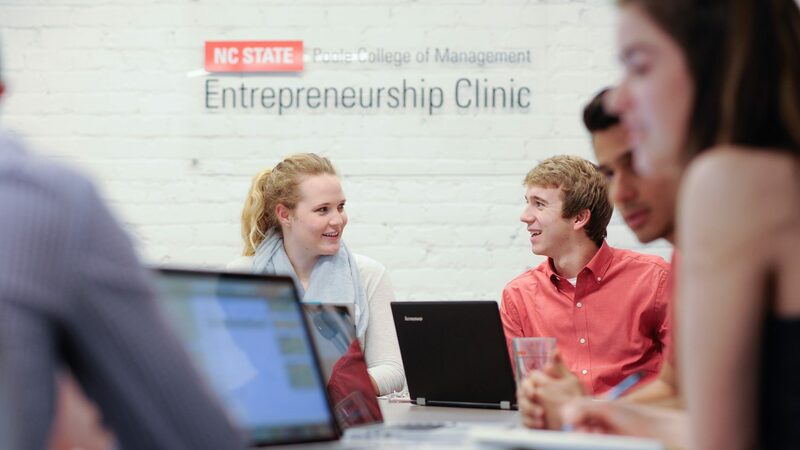 NC State is an entrepreneurial university embedded within an entrepreneurial city and region. The capital of North Carolina, Raleigh has emerged as a nationally-recognized hotspot for enterprise, innovation and investment. 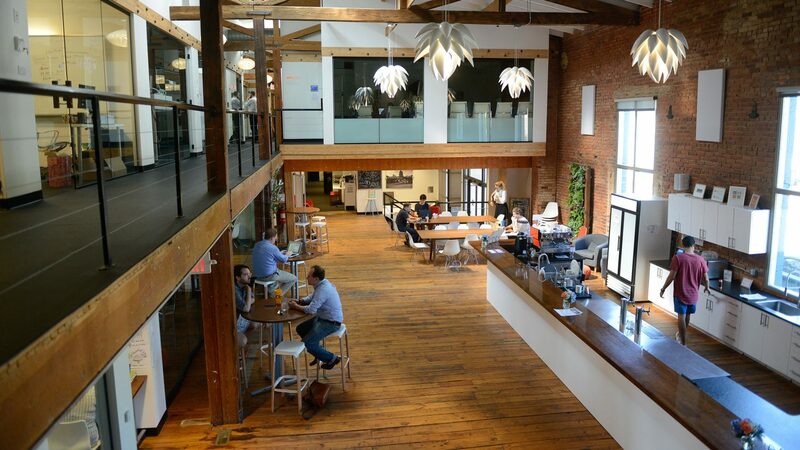 The city is an especially supportive environment for new businesses, with more than 500 startups and over 140,000 square feet of co-working space. Further, Raleigh joins Durham and Chapel Hill to form the Research Triangle — one of the country’s largest hubs for research and economic development. Centennial Campus further cements NC State as a pioneering research university with an overarching entrepreneurial vision. Our public-private research campus is home to more than 70 corporate, government and nonprofit partners. The Technology Incubator brings entrepreneurs from the university and the community together in a creative, results-driven environment. And the James B. Hunt Jr. Library is one of the most technologically advanced learning and collaboration spaces in the world. 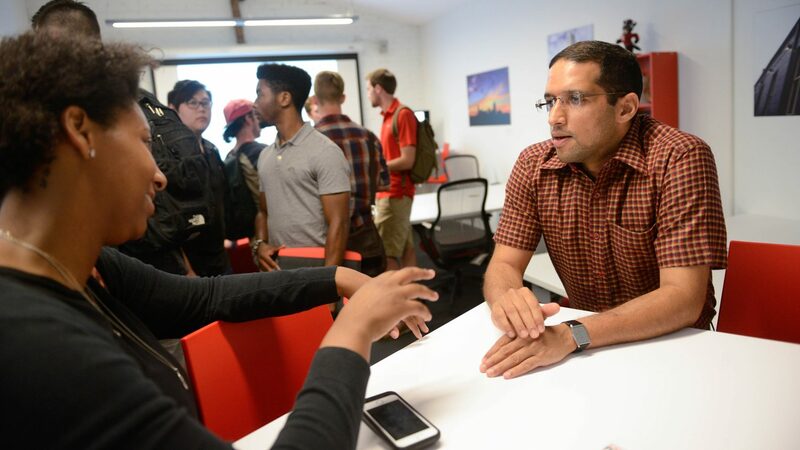 Our year-round schedule of educational programs and networking functions gives student entrepreneurs regular opportunities to build relationships with future collaborators, experienced mentors and prospective investors.